By Reach for the Wall staff. 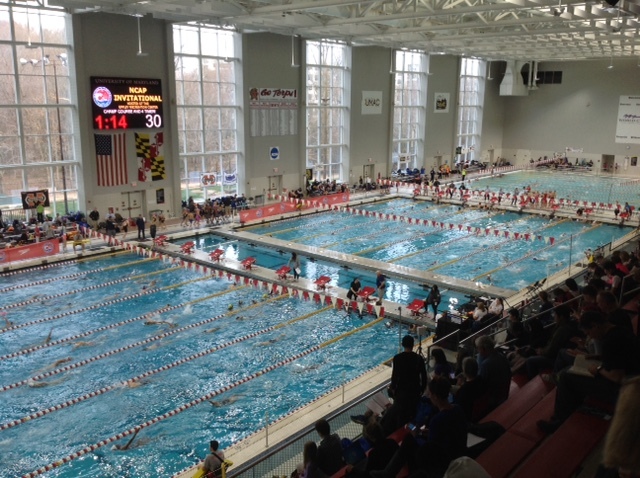 The Nation’s Capital Swim Club (NCAP) held its annual NCAP Invitational meet at the University of Maryland Epply Center this past weekend. Swimming World Magazine, as it has done the past 5 years, broadcast a live stream of the prelim and final sessions, which are available (together with articles on each day’s action and interviews with top swimmers) at the meet’s landing page. A total of 31 teams participated in the event, but the meet was not team-scored. ** Fran Crippen passed away on October 23, 2010, while competing in a 10K World Cup Open Water Race in the United Arab Emirates. Crippen was an 11-time All-American at the University of Virginia and was named as the Atlantic Coast Conference Swimmer of the Year in 2003 and 2004. After finishing his career at UVA, Crippen went on to compete in Open Water Swimming. He earned a bronze medal in the 10K swim at the 2009 World Championships in Rome and collected silver medals in the 10K at both the 2006 and 2010 Pan Pacific Games. In September, Crippen was named the Male Open Water Swmmer of the Year by USA Swimming. NCAP dedicates its mile races to a true champion and warrior, Fran Crippen. You can make your contributions to the Fran Crippen Elevation Foundation (www.francrippen.org).